J C Penney Company Inc (NYSE:JCP) is in the processing of increasing the employee count at its Lenexa production facility located at 10500 Lackman Road. The company will add 400 employees in the customer service departments. The retailer based in Texas will add a mix of both part time and full time employees to ramp up its customer service activity in the business of appliances and furniture. 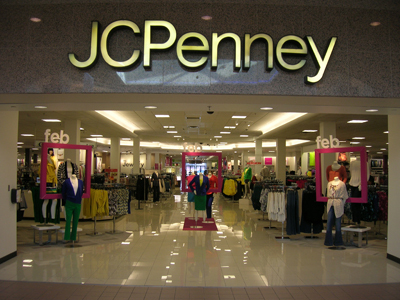 The Director and President of economic development based in Lenexa Chamber of Commerce, Mr. Blake Schreck has said J C Penney is one of the reputed employers in Lenexa. It has been offering the employment for several years. However, the employee base has been under utilized for some time now. The Lenexa based facility has been in operation since 20 years and occupies an area of 1 million sq. ft. The increase in employee count at Lenexa facility will contribute to the rise in its revenues. The company is conducting the business operations in both brick and mortar and online stores. The facility will become a major center in the country. The ramping up of the employee count is an advantage for the company and the region as well. The new move to increase the employee base is part of the company’s plans to boost the appliances and furniture offerings. The company will also adopt the omni channel strategy. It has significantly reduced the debt by over $600 million and posted an increase of 2.6% in sales during the last quarter. The net sales for the year are reported at $12.51 billion (down 0.3%). The company staged a decision to close down the Distribution as well as customer care operations in Milwaukee according to a release a month ago. According to the spokesperson, the J C Penney will shift the operations from Milwaukee to Columbus, Ohio, and Lenexa facilities. The company will relocate the call center to Lenexa. According to the latest move, the functioning of distribution center will cease on July 1, 2018. However, the customer care department will function up to September 1, 2018.